Adjust your website for mobile devices. The website can be adjusted to view on a PC display, but the information can be displayed improperly on mobile devices. In this case, you may lose some of your visitors. If you don’t have a mobile device near at hand to check how your website appears on a small screen, use the feature Mobile rendering. Open the section Website Analyzer and go to the filed Mobile/tablet. If it is comfortable for the user to work with your website on their smartphone and tablet PC screens. If the website functional is adapted for touch-screen gadgets. If the website structure and design remains unaltered. This tool does not require any additional configurations or activity. The target page is automatically displayed on the portable devices screens. 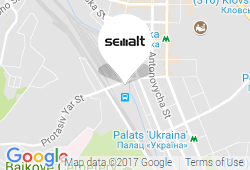 If you make some changes on your website, please update the Semalt Website Analyzer page to see them in the field Mobile/tablet.